No golfer likes to be off the course for any longer than he or she has to. And if you’re a duffer who’s in Mount Laurel for a while, you’re going to want to hit the links to escape whatever business you happen to be there for, even if you’re visiting family. Fortunately, there are plenty of golf courses in the area for you to get in a round of 18 and escape the world for a while. 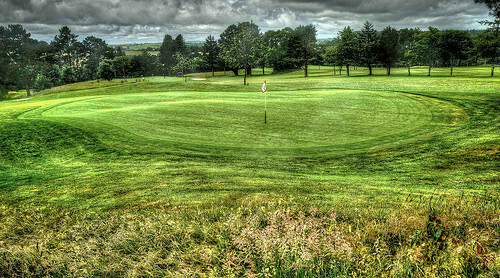 Following are three of those courses and the reasons they deserve your greens fees. Laurel Creek Country Club is an Arnold Palmer Signature Design golf course and is an 18-hole, Par 71 course. Build in 1988, the course is one of the few links courses in New Jersey. It’s held up well over the years and keeps challenging golfers with wide fairways and challenging greens. The hazards, sand traps, and water features come up when you least expect them, keeping you on your toes as you try to keep the ball out of their way or risk adding a stroke to your score. Topgolf Mount Laurel is bringing the game of golf into the 21st century while preserving the core values of the game. You won’t be playing a round of nine or 18 here, but you will be able to practice your swing while challenging your game in a way you never realized could be beneficial to your swing. Topgolf is a driving range that gives you more things to do than simply drive balls out to the field. Here you get the opportunity to score points by hitting your balls into a target. Microchips in the balls are registered to you for the game and return scoring information once the ball lands. Other games include the Top Scramble, in which players try to make the best shot and use that for their score; TopChip, where you have to hit the right target to score; and TopPressure, which directions you to hit all nine sections within the target. You’ll want to stay in a comfortable hotel nearby so you can recover after a day of pressuring yourself to make your best game. This 27-hole course has tee arrangements that create three different 18-hole combinations. You can golf to your heart’s delight here and stay challenged throughout. You’ll find it difficult to master the course with the opportunity to change up the course. The course is also full of visual trickery, with some of its holes built on former pasture land with rolling geography. You’ll think your ball will land and stay there, but you may find that it goes where you didn’t want it to. It’s a unique and interesting place to play. These are three of the courses found in Mount Laurel to help you get away for the day and enjoy a round with friends. Play a round of nine or practice your skill and keep your edge while in town.